Let’s start with the most common question. What do CNA’s do, or what might they be expected to do? Really, that depends on the type of work they take up— either pre- or post- qualification. A point that may be worthy of note here is that Federal government mandate the appointment of certified nursing assistants in nursing homes only. Otherwise, there is no requirement by law for any of the other aforementioned establishments to hire a CNA. Nevertheless, the value of the work a CNA provides is not underestimated, and thus the recruitment of such personnel is a popular pursuit— irrespective of the type of care an establishment provides. The work a CNA is expected to undertake includes (but is by no means limited to) assistance with personal hygiene such as bathing, oral care, toileting, and more; taking note of vital signs such as height and weight measurements; using relevant software packages which come under the remit of the healthcare industry; communicating with patients’ or clients’ families whenever the need arises. In essence, the certified nursing assistant has to become a jack of all trades and a master of some, too. Never a dull moment to be had in this industry! There are more than a handful number of state approved nursing training programs in Florida. Although, the cost of training programs varies quite a bit it is generally around $500. You can also make use of employer and financial funded trainings which will make it easy on your pocket. Additionally, it’s perhaps worthwhile to note that if you’re employed in a nursing facility or bag your first job within 12 months of training, you may well be eligible for a 100% reimbursement on your training fees. At the time of application for CNA exam you’ll have to pay 3 type of fees— including $93 for FBI check, $25 for theory and clinical tests and $43.25 to register. 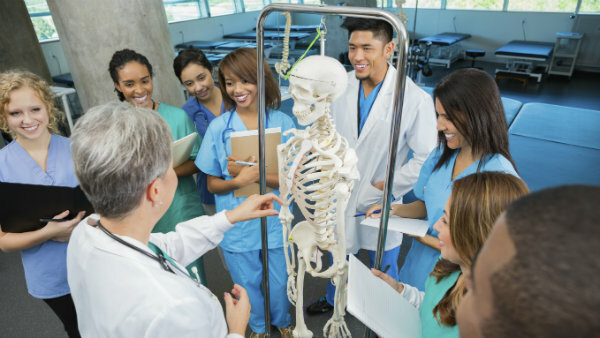 As mandated by Florida State Regulations, you, as a nurse-aide student, must receive 120 hours of combined lab, classroom and clinical training. Let’s now look at the split. 40 hours of total training needs to be devoted solely to offering supervised clinical experience to the residents, whereas 80 hours needs to be spent on hands-on jobs and classroom instructions. Becoming a CNA in Florida, just like in any other state, is a good move in terms of career opportunities, career progression, and also potential income: after all, it is a well-paid industry. To that end let’s find out the basic prerequisites of becoming a CNA. You must have graduated high school or possess an equivalent degree. You must be at least 18 years. You must have taken nursing assistant competency examination and scored the minimum marks, established by the rule of the board that functions under Enterprise Florida Jobs and Enterprise Partnership Grant. The exam consists of two parts; one being written test, and the other is skill-demonstration. Let’s now find out the process and some more information about Pometric CNA exam. 1… As soon as the form, along with the fees are submitted, prometric will send you a “fingerprint authorization” letter. 2… You’ll then be scheduled for an electronic fingerprint appointment. 5… The list of eligible candidates are prepared by Prometric and then admission tickets for the test are sent out. 6…You take the test on the appointed day. The exam is clearly decided into two parts. The first, which is the written part, will have 60 multiple choice questions for you, which you’ll have to answer within 90 minutes by the clock. An oral test may be conducted additionally if you’ve difficulty reading English. The second part of the exam, manual skill evaluations, will require the applicant to perform five, randomly selected nursing skills. However, your situation may not lend itself to such a commitment in terms of time. For instance, you may be busy in your current work, or you might care for a young family, in which case, time is rarely on your side. Plus you have little flexibility. In such scenarios, CNA training online in Florida offers great potential as well. Online training in any pursuit provides for an excellent level of flexibility. And this is no different in Florida. What’s more, online classes are far cheaper to enrol in, in comparison to regular classes. Save money – as already alluded to, you can save hundreds of dollars. Save on money for traveling, too. Oh, and you save time as there’s little traveling involved. There are no rigid time schedules for classes. And that means you can learn entirely when it’s convenient to you. Touching on the last point, you can choose to study at any time of day or night. When you have questions with respect to your coursework, simply e-mail your tutor and it’s probable you’ll receive a timely response. An LPN’s job role has many similarities to that of a CNA. However, the LPN is very likely more experienced, and potentially has a higher level of academic accreditation. How are you to obtain accreditation as an LPN in Florida? A very solid first port of call would be to accredit yourself with certified nursing assistant training in Florida. This will provide you with the core skills of an LPN, which will help you optimize your capabilities while undertaking the necessary examinations for becoming an LPN.